Well, it's about time, Motorola. After months of waiting, the OEM has sent out invites to a September 4th event in Chicago, and it's pretty clear from the graphic that we're going to see a new Moto X, Moto G, the Moto 360, and a headset of some sort. 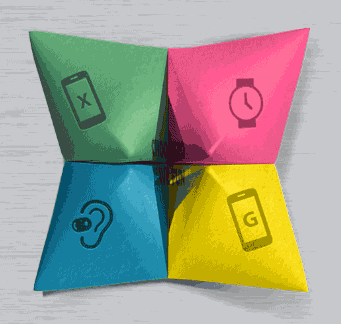 The invite has an animated paper fortune teller with tiny drawings of a headset (earbuds maybe), a watch, as well as phones with the letters X and G. That makes it pretty clear what's going to be happening. The September 4th event is just one day after Samsung is scheduled to reveal the Galaxy Note 4. It's going to be an interesting couple of days.